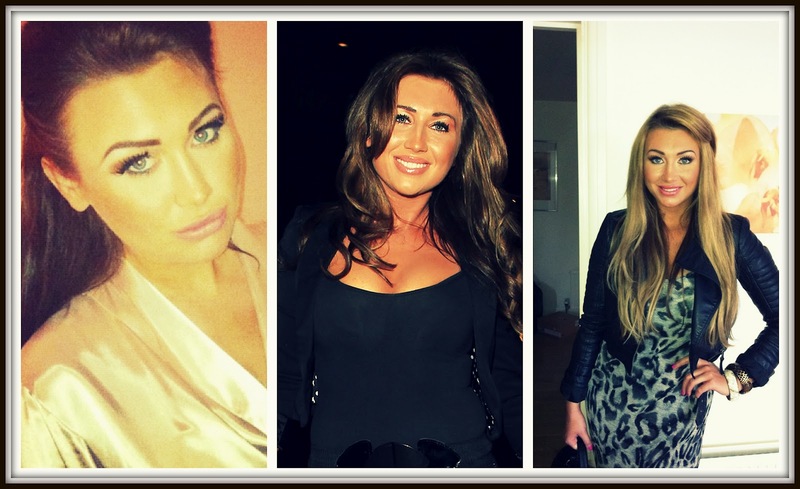 A beauty chat with Lauren Goodger. I'm utterly obsessed with TOWIE and was lucky enough to meet the lovely Lauren on two occasions now at the end of 2011 so I just jumped at the chance to ask her a few more beauty questions! What is your favourite tan from your range? 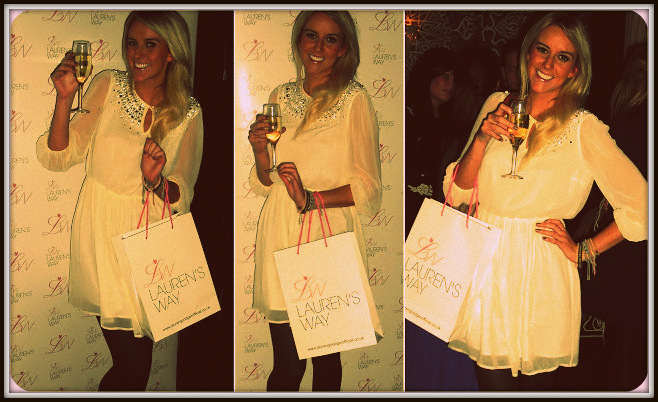 I love the Lauren’s Way Glam Tan. As it’s a spray it’s quite light and all my tans don’t smell like most brands, but you can build it up to look more brown if you want to and its really blend-able. For every day I can be ready in 30-40 minutes, but for a night out it would take me an hour and a half. For day to day or nights-out and parties I do my own make-up, but if it’s a very special event or for filming then I will hire a make-up artist. What is your favourite makeup brand and your top three favourite products? My favourite brand of all time is Mac hands down. 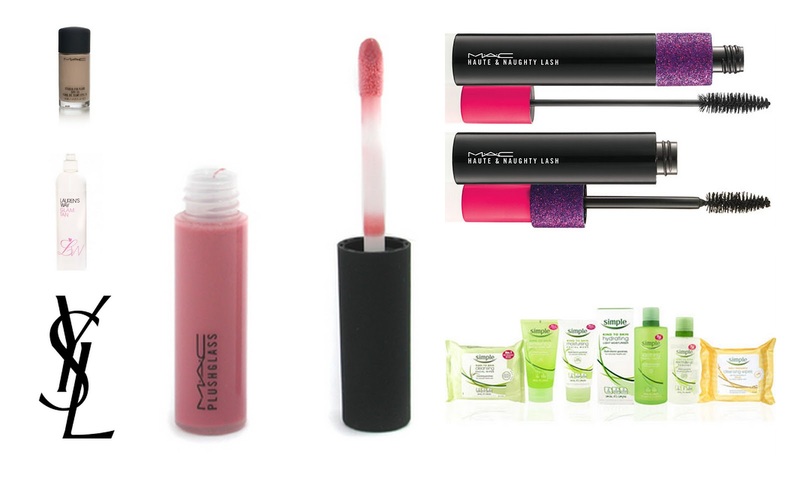 I love the foundation Studio Fix Fluid, the Plushglass lip-gloss in Ample Pink and Haute & Naughty Mascara in Black. I have tried other brands before but nothing compares to Mac. What skincare do you use at home? I use Simple as its completely natural and so kind to the skin. I have quite sensitive skin so I need to be kind to it! What is the best a)cheap and b)expensive product you own (skincare and/or makeup)? Gosh I have so much and it all really varies in price! I have a bronzer which I LOVE from Romford market which is only a couple of quid! And then Yves Saint Laurent make-up products which are quite expensive. What do you always carry around in your handbag? My Blackberry, a hairbrush and my make-up bag. Do you have any facials or skincare treatments? I love a nice facial particularly Dermalogica facials, but am sometimes too busy to have them as often as I would like! What do you hope to add to the Laurens Way range in the future? I definitely want to keep expanding the range with more selection on the existing product lines, and perhaps look into make-up as well. What has been the best makeup tip you've learnt since TOWIE began? I take a lot better care of my eyebrows now- you can see in Series 1 they were awful! I like to have them tattooed by Tracie Giles- she is absolutely brilliant and I have regular HD Eyebrows done to keep them in shape. Not a scouse brow, just very neat and tidy. If you had to explain to someone the 'essex' look - what would you say? The Essex look is ultra-glam and over the top. Long BIG blow dried hair, false eyelashes, lashings of fake-tan, manicured nails and a full face of make-up. I absolutely LOVE finding out what celebrities really use! If you could chat to any celeb about their beauty secrets - who would it be!? Click to read more about Lauren's Way and you can watch my interview with Lauren from November below.